JP Graphics in Santa Clara, CA recently installed the powerful new Protopic™ Auto-540 Dual digital foil and lamination machine. 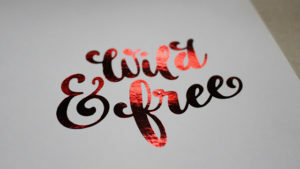 It packs a formidable list of abilities, including single-sided laminating, single-sided SHR™ (Silver Halide Replacement), spot Sleeking™, and metallic foil fusing. 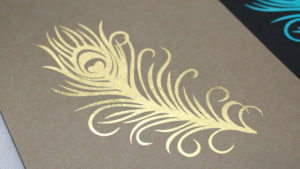 foil stamp folders and then ZUND die-cut out to any shape. Contact Us Now for a tour of our Santa Clara, CA commercial printing facility. 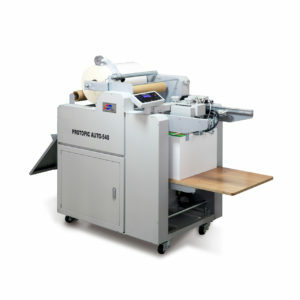 Download a PDF with complete specifications of the Protopic™ Auto-540 Dual machine. What works best – printed or digital communication? Your company uses both printed marketing pieces and digital communication across different media and channels. Some examples are printed mailers and the digital information on your website. Do our brains respond differently to printed and digital messages? The world’s first neuromarketing study carried out by Ipsos, Nourons Inc. and PostNord has for the first time directly shown how our brains respond to printed and digital messages. Printed advertisements create greater emotional commitment than digital advertising. The study was conducted in Denmark and Sweden, and looked at 100 people in both countries. The answer is unequivocal: Printed advertisements create greater emotional commitment than digital advertising. However, printed advertisements cannot stand alone. The neuromarketing study very clearly showed that the combination of printed and digital advertising has a bigger impact than either one media or the other. By far the best effect is achieved by choosing printed media first, and then following up with digital advertising. The survey also showed that people find it easier to focus on printed advertising. Digital media create more stress than printed media, which is why messages in digital media are often subconsciously ignored. In combination however, the two media are second to none, and it has been established once and for all – that printed media plays an important role in communicating your brand message. Interested in using Printed Media? Contact us at JP Graphics in Santa Clara. We excel at printed media! 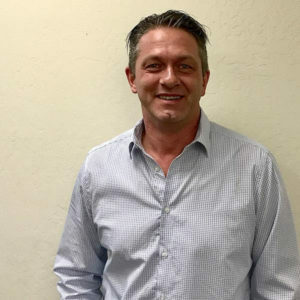 JP Graphics new General Manager, Michael Iburg. Michael has a 4-year degree in Lithography and Commercial Printing from Copenhagen, Denmark, and is celebrating his 30th anniversary in the industry this year! Like Joan, Michael got in to the printing industry by chance, ended up getting the “printing bug” and never left. As our new General Manager, Michael will be responsible for overseeing the daily operations at JP Graphics, in order for Joan to focus on sales and networking. He is fluent in English and Danish, (as well as conversational German) and specializes in team building and business management. Michael’s career has encompassed many things, including production management, consulting, sales, and marketing. He was also a product manager for a large press manufacturer. Making him a perfect fit for managing operations at JP Graphics. In his spare time, Michael enjoys spending time with his family, where arts and crafts have high priority; including painting, sculptures, and music. He also enjoys cooking organic meals with his wife! His favorite get-away? Casting a line in the water, camping, and hiking with his bloodhound. We’re glad to have you on the team Michael, and are looking forward to seeing your creative talents put to use as we move into our 20th year in business! The 2017 San Francisco Bay Area ﻿Admin Awards is a WRAP! JP Graphics is a proud Event Partner for the Bay Area Admin Awards! CONGRATULATIONS TO THE 2017 WINNERS! Click here to view the nine 2017 San Francisco Bay Area Admin Awards winners including Lisette Cervano, HoneyBook, winner of the program’s most prestigious award, The Colleen Barrett Award for Administrative Excellence! Pictures from the 2017 San Francisco Bay Area Admin Awards, captured by Oh Snap! Visuals can be accessed here: Photo Gallery. Having trouble accessing the photo gallery? It’s likely to be a result of your company’s firewall (help, IT!). Try viewing on a personal mobile device or forwarding to a personal email address you can check from home later if you have trouble now. Click here for instant access to the video tribute that opened the awards gala featuring program finalists’, supervisors and coworkers lip syncing and dancing to Taking Care of Business by Bachman-Turner Overdrive. Help us spread the word about the Admin Awards program! Simply click here to receive updates and notifications for the 2018 program. Follow us on Facebook to stay up-to-date on what’s happening at the Admin Awards. https://jp-graphics.com/wp-content/uploads/2017/11/Silicon-Valley-Admin-Awards.jpg 325 800 mrr https://jp-graphics.com/wp-content/uploads/2013/06/JP-Graphics-Logo.png mrr2017-10-08 22:38:492017-11-17 19:57:50The 2017 San Francisco Bay Area ﻿Admin Awards is a WRAP! Why is it important to your business to be a part of The SVO? I enjoy the networking AND more importantly the education – especially the Monthly Breakfasts … really helps in your ability to know what is going on in Silicon Valley. What was your first job like? I got my first job at Wendy’s on my 16th Birthday. I have never worked that hard again. But you do appreciate working with the public and what its like to clean up after someone who doesn’t care … So I teach my children to CARE and be respectful of everyone’s things. I run a large printing company that covers the whole realm of print – from digital to offset to specialty finishing like foils and letterpress. We have 45 employees that are true craftsmen, and I am proud to be a woman-owned business in a male-dominated industry. What has been a career high point for you thus far? Surviving the Dot.com Bust. A LOT of printers didn’t. I used every bit of my education and resources to stay alive and it has paid off . Support one another. From a Yelp review, to a referral, to just be listening support. We make the best sales team because we are fair and have great follow-through. On August 26, 2017, Women’s Equality Day is celebrated across the nation. Why Is Letterpress Making a Huge Comeback? Holding a letterpress print is a completely different experience than holding a digital or offset print. Run your finger over the surface and you can see and feel the embossment of the letters; feel the substantial weight and rich surface of the paper and experience quality that speaks of high craftsmanship, of elegance and the revival of a lost art. There are reasons that, 30 years ago, letterpress almost disappeared. This kind of printing is fussy. To print books and small matter, you arrange blocks of metal type in a press to spell out words; headlines or posters often use large type cut from wood. A letterpress then pushes paper down onto the blocks, which have been covered with a thin layer of ink. You wind up with inky fingers and aching muscles. And it’s impossible to achieve completely consistent results. But for every degree of difficulty, there’s an equal measure of aesthetic appeal. Martha Stewart was among the first to highlight this as letterpress faded, and clamored for its revival. In the 1990s, her lifestyle empire extolled the handcrafted look and feel of letterpress work, especially for wedding invitations. Stewart’s outlets tended to feature prints with a deep relief, known as debossing, which photographs well at an angle in a shallow depth of field. You can feel the impression with your eyes. (Embossing raises paper towards the reader, pressing up from underneath.) Photo credit: Adrian Harrison. Have a project you’d like to share with us? Get a quote from JP for your letterpress artisanal print project. You will be pleasantly surprised! Do you know of a small business that can benefit from this unique, free business training opportunity slated to begin this summer? The nominations deadline is June 30, 2017, so please take a minute to see how you can help support small business and the vitality of our inner cities. JP Graphics is a proud alumni of the ICCC Program. 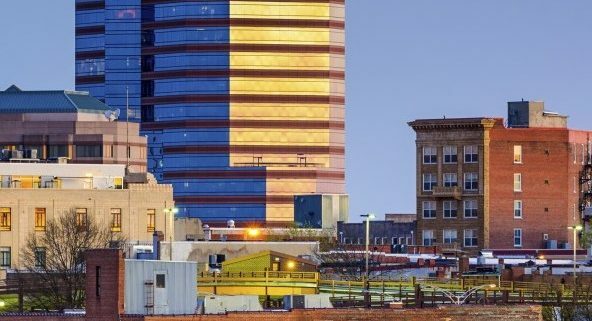 Along with Janet Liang, President, Kaiser Permanente Northern California, Oakland Mayor Libby Schaaf, and the Oakland Thrives Leadership Council, I invite you to nominate businesses that you think might benefit from the program. Please find more details about this free training on the ICCC Oakland website. To nominate a small business (or self-nominate), email the nominating form directly to Hyacinth Vassell or nominate online at http://icic.org/inner-city-capital-connections/nominate-apply/ ICCC will follow up with every business that is nominated to be sure the program is a good fit for them and answer all their questions. All we need are nominations! Feel free to share this information with others who may have ideas about businesses that could benefit. We’re proud to announce our latest Employee of the Month, Claudia Rubio in Bindery! Claudia was selected because she is the definition of an outstanding employee and a perfect fit for our team. Claudia is known for going above and beyond, and is very fast and efficient! You can tell from her smile that she loves what she does, and her strong work ethic shows she takes pride in her job and with JP Graphics! Thank you Claudia, for a job well done, we’re lucky to have you as a part of the JP Graphics team! Learn more about JP Graphics Bindery Services here. 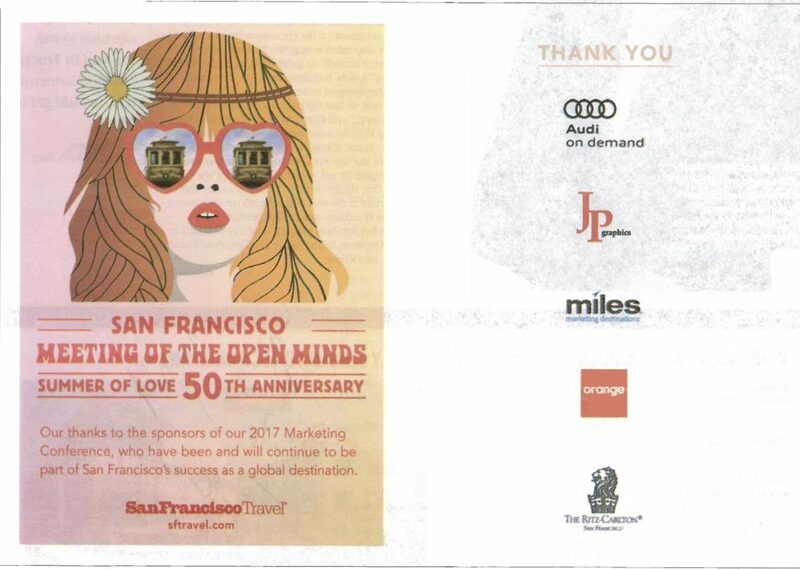 JP Graphics is a proud sponsor of the The San Francisco Travel 2017 Marketing Conference along with Audi, the Ritz-Carlton and others. The conference promotes San Francisco as a global travel brand, showcases new research about tourism in San Francisco and provides an update on major events coming in the next year, all at the 2017 SF Travel Marketing Conference. 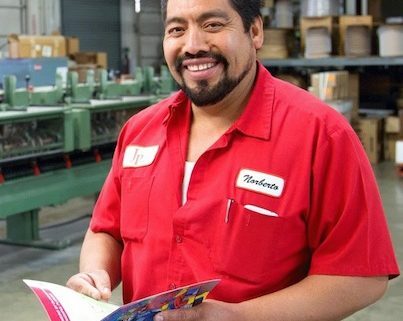 Meet our first recipient of JP Graphic’s Employee of the Month award, Bindery Manager, Norberto (Norbi) Gonzales. Norbi has worked for JP Graphics since Feb 12, 2002, and was selected unanimously due to his dedication and commitment to his work. Congratulations Norbi, and thanks to all of the JP Graphics team for the work you do today and everyday! 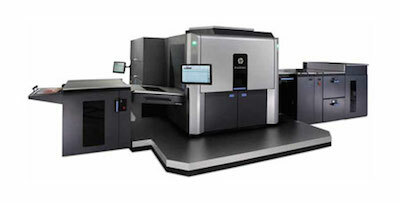 The new HP Indigo 10000 at JP Graphics, Santa Clara, adds to the company’s digital printing muscle with its speed and flexibility. The first install in a commercial shop in the Silicon Valley Bay Area. 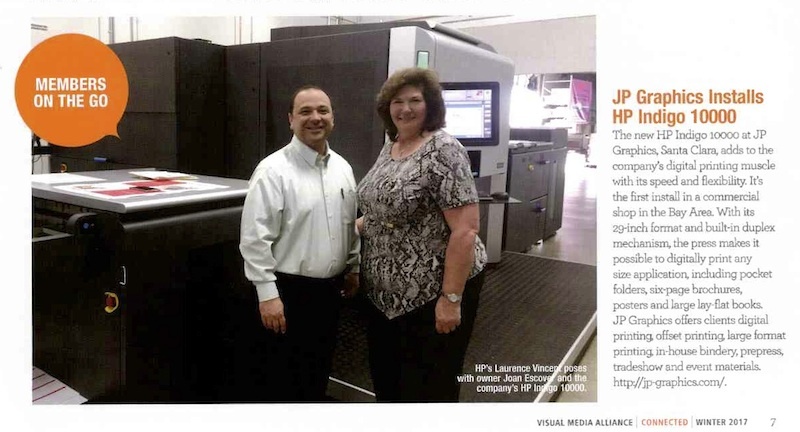 Here is Joan Escover, founder and owner, being recognized in the Visual Medial Alliance publication. We are proud to add this printing capability to our already formidable line-up. Find out more about the HP Indigo 100000 at JP Graphics. Save precious energy, time, and money by having your conference materials waiting for you when you arrive. At JP Graphics, we understand the amount of logistics involved in trade shows and corporate events. Whether your event is at the Moscone Center, San Jose Convention Center, Santa Clara Convention Center, Oakland Convention Center, any of the many Convention Hotels in the area or other San Francisco Bay Area venues, JP Graphics is there to provide all of your material needs, from programs and schedules to signs, banners, and trade show booths. Whatever your print collateral needs are, we can help you, locally. We do it all! Download our equipment list.We provide offset, digital, large format printing and promotional items. We have a complete print shop with 10 different presses and a full bindery department so you job stays under one roof without the need for outsourcing. This enables us to make sure that your job is done right and most importantly, on time. We can deliver directly to you so there is no need to worry about additional shipping costs or missed deliveries.At JP Graphics we have a dedicated account representative to work with you every step of the way. So you know you will be in good hands when you rely on JP Graphics to provide your printed collateral. Please contact Delicia Niami directly at Deliciajp-graphics.com or 408-372-5500 or 408-592-5793 to discuss your needs. JP Graphics acquires a true ‘Game Changer’….the Bay Area’s first HP Indigo 10000 in a commercial print environment! Ask how JP Graphics can change the game for you! Contact us. JP Graphics, a full-service printing company, is certified woman-owned and a small business by the state of California and is a Bay Area Green Company. Located at 3310 Woodward Ave, Santa Clara, CA 95054, our 33,000 sq. ft. facility houses a state of the art prepress department, numerous offset and digital presses, a complete bindery, including lamination, and diecutting. Additional services include fulfilment, large format, and mailing. We deliver all over the Bay Area and ship all over the world.